The Coresight Research team was in Las Vegas last week, attending and participating in the Shoptalk 2018 conference held March 18–21. Click on the day’s title for link to more detailed reports. 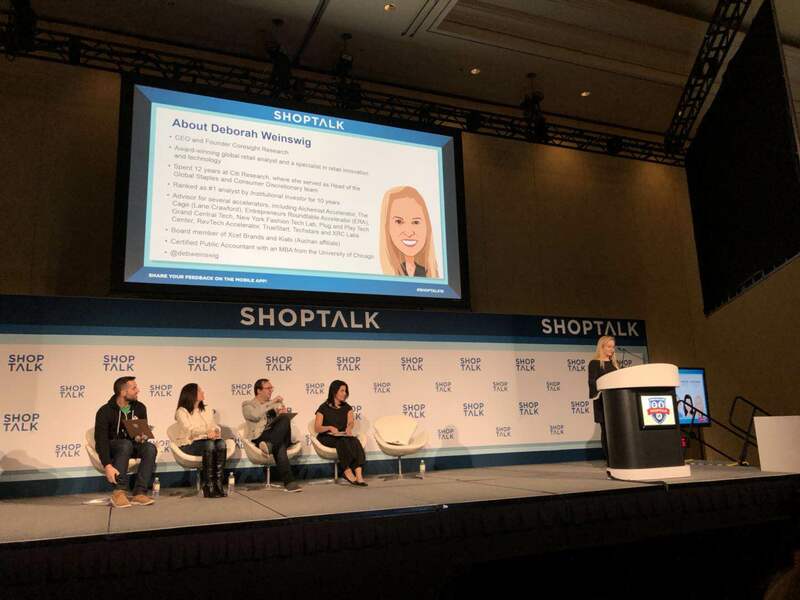 • On Sunday, to kick off this year’s conference, Coresight Research’s Founder and CEO, Deborah Weinswig, emceed Shoptalk’s Startup Pitch competition. • The competition featured 15 innovative companies, which Weinswig classified into one of four categories: engaging customer experiences, physical retail solutions, inventory management and assortment optimization, and personalization. • Two winners were chosen, one by the panel of judges and one through audience voting. 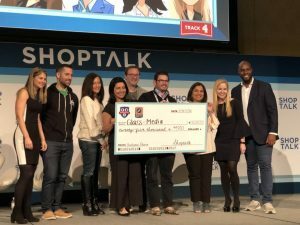 The winner of the judge’s choice was blockchain-based shopping platform, SHOP, and the audience’s vote went to digital-display storefront marketing solution, Glass-Media. Weinswig concluded the pitch competition with a presentation on the current and future state of the retail environment, emphasizing “New Retail” trends in China. • Macy’s is to add mobile scan and pay checkout to all stores by the end of 2018. • Same-day delivery is becoming the new normal; Target will be offering same-day delivery nationwide. • The Amazon innovation approach is to “start with the customer,” and work backwards to figure out a solution. • Brands are using social media communities to build engagement and revenue. • Kroger says augmented reality (AR) could be used to help customers navigate the in-store shopping experience. • Amazon’s global marketplace is transforming the propensity of local customers to buy from global sellers. • Ulta is benefiting from beauty category growth. It prides itself on three key differentiators: real estate locations, product mix and services. • Walmart said it remains in acquisition mode and that eventually direct-to-consumer brands will become available on Jet.com, which will help capture urban millennial shoppers. • Google announced a new feature, Shopping Actions, which allows users to purchase items directly from search results and across Google platforms. • The Coresight Research team held two Shoptalk launch events to celebrate the official launch of the brand with industry friends and colleagues. Coresight CEO and Founder Deborah Weinswig provided insights into the China retail innovation landscape. • Alipay announced a partnership with Freedom Pay and First Data to bridge the international travel experience and serve the growing number of Chinese tourists visiting the US. • Radical retail thinking requires being uncomfortable, feeling wrong and having “one foot in the boat and one on the dock,” according to Walmart’s incubator Store No. 8, Williams Sonoma and Home Depot. • Albertsons is to launch a digital marketplace which allows vendors to sell direct to shoppers. • Flexport and Optoro are startups that are transforming the supply chain and logistics industry. Tophatter—an AI retail startup that calls itself the anti-Amazon solution—is driving engagement, not efficiency. 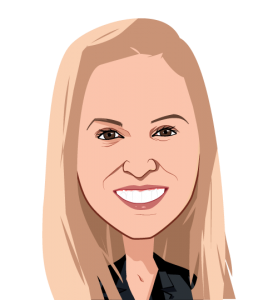 She most recently served as Head of the Global Staples & Consumer Discretionary Team at Citi Research where she was consistently ranked among the top analysts in her field. She is frequently quoted in The Wall Street Journal, The New York Times and Barron’s and is a regular guest on CNBC. Before her time at Citi, she held senior research positions at Bear Stearns and Morgan Stanley.